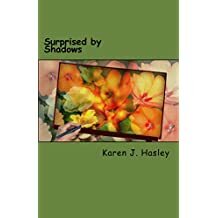 The second book of the series titled Surprised by Shadows – the title taken from a quote by Johann von Goethe: “There is strong shadow where there is much light” – weaves its tale around a minor character from the first book: Sheba Fenway, independent business woman and dedicated artist. 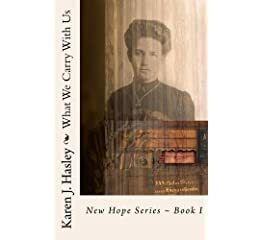 Both books – the whole projected series, in fact – are set in America’s heartland in the late 19th century. New Hope, Nebraska, has it all: Mystery. Adventure. Community. Love and grief. Loss and hope. Danger and fear. The Dangerous Thaw of Etta Capstone is a stand-alone novel set in 19th-century west Texas. Etta Capstone has lessons to teach – lessons to learn, too. Spend some time in Compassion, Texas, and you’ll understand. Magnificent Farewell is another stand-alone novel that commemorates World War I from an American woman’s perspective. Book club discussion topics are posted on my website because Magnificent Farewell lends itself to thoughtful conversation. One male reader liked it but admitted it wasn’t a “Disney princess” kind of story ~ he’s a wise man who’s right on target. Anyone who wants to read something fun with a touch of heartfelt romance and a happy ending will enjoy the Series Penwarrens, a trio of shorter, light-hearted Victorian romances titled Claire, After All – Listening to Abby – and Jubilee Rose. Under the ‘Karen’s Books’ tab, you’ll find all my available books, some with excerpts. They’re all available in paperback and also in digital form on Amazon.com and BarnesandNoble.com. If you would like to be made aware of my new releases or receive updates about my available books or my speaking schedule, feel free to send me your email address via the “Contact” tab, and I’ll put you on my email list. I won’t use your address for any other reason or give anyone else even a sneak peek at it. Promise. Thanks for visiting. Please come again.